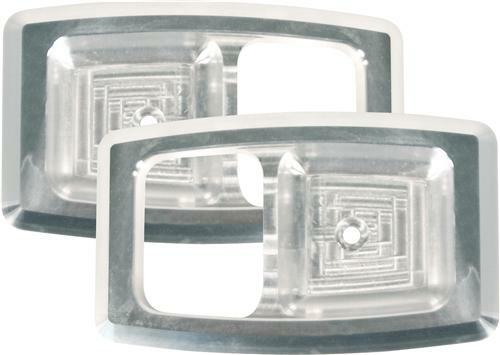 These billet door handle bezels for your 79-93 Mustang add some great styling to the interior of your Mustang! Looking to Dress up the interior of your 79-93 Fox Body Mustang a Little? LMR has you covered. These Satin aluminum door handles Bezels replace your factory plastic ones to give you a great looking and more durable bezel. All you have to do is take out the retaining screw, swap out bezels and re-install the screw. That's it, everything functions the same and looks great at the same time. 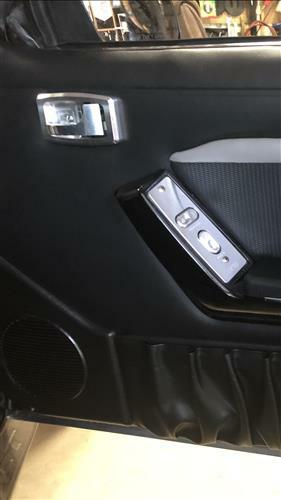 Mustang Door handle bezels often break from being over tightened. These OEM Style Black inside door handle bezels are now available from 50resto. Includes black inner cup to match factory equipment of your 1979-1993 Fox Body Mustang! Replace your original black bezels with these for a fresh new look.